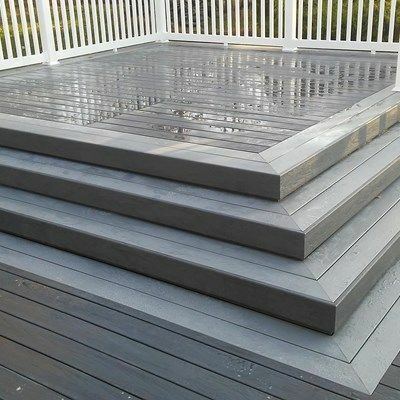 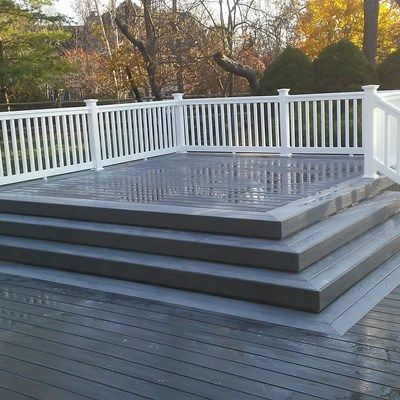 Resurface existing deck with TimberTech Tropical Amazon Mist with hidden clips. 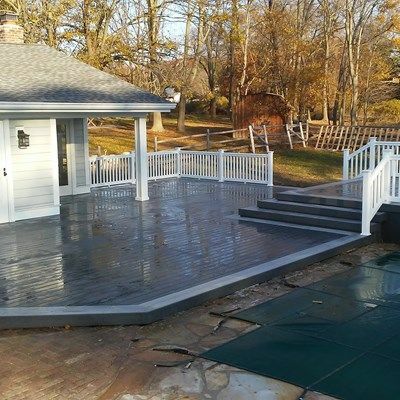 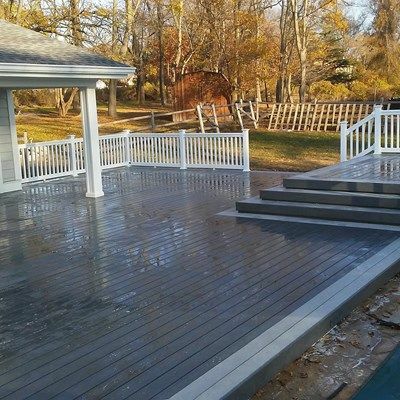 Deck is pictured framed with two rows of TimberTech Stone Ash. 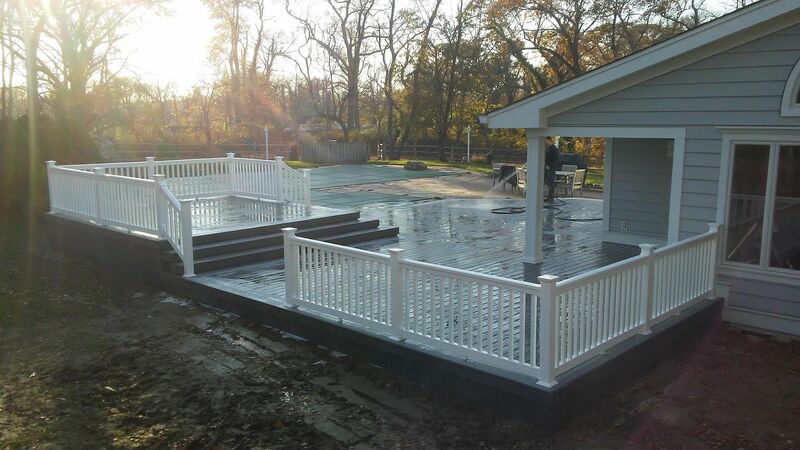 New railings are White PVC.